As I’m a writer by both passion and profession, it might not surprise you that I enjoy word games. Sure, I enjoy a good game of Scrabble or other vocabulary games…but I also enjoy games that go beyond just a word’s definition and bring in a more interpretive element. 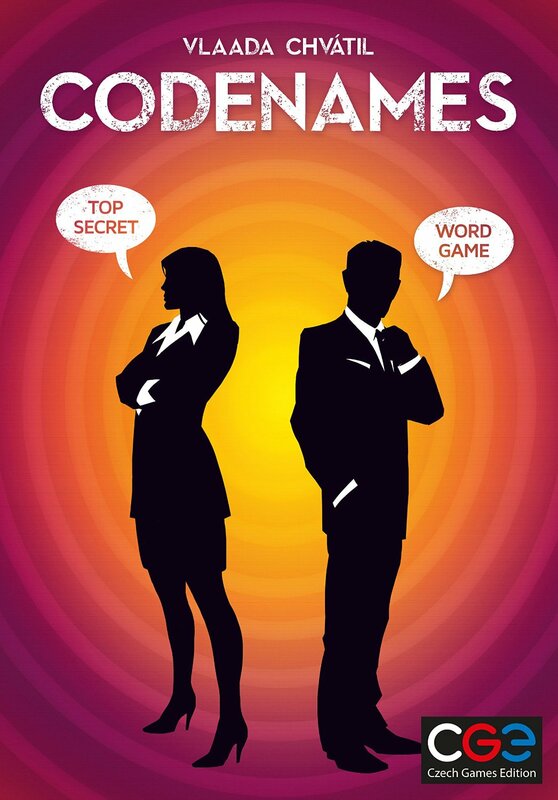 So, without further ado, let me introduce you to Codenames. 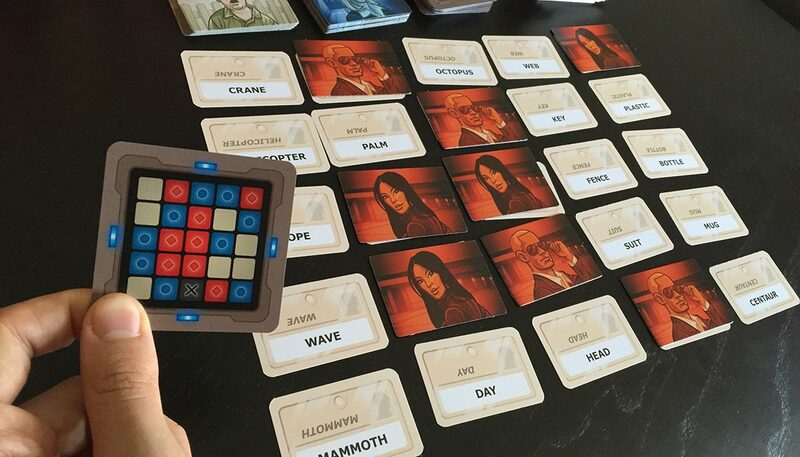 Codenames sets two teams against each other, Red and Blue. Each team has a designated “code giver,” while the rest of the team is trying to break the code they’re given to win. The setup is easy enough. A 5 x 5 grid of random cards is laid out, each with a single word visible to all. The two code givers can see a grid that shows them–and only them–which words belong to their respective teams, which words are neutral, and which word is the “assassin” (aka insta-lose) word. Their objective is to get their team to find all the words that belong to them alone first. The code giver’s job is a tough one. Each turn, they can only give their team two pieces of information: a word and a number. The word is one they believe is associated with one or more of their team’s words on the grid (but isn’t one that’s actually on the grid, itself). The number is the amount of cards the code giver is saying are related to the provided word. Ahem. Anyways, you get the point. It’s enormously fun and frustrating (in the best way) to try and figure out what mental warrens the code giver has gone down to make the associations they have. And sometimes a code giver may not notice a semi-related word until it’s too late, leading to potentially game-ending choices. Beyond the basic play, there are chances to get extra guesses, ways to use another team’s failed guess to your advantage, or use past failures to snag extra points the next turn. Team members struggle to decipher the code while code givers must remain poker-faced, not giving away any other clue beyond the two initial data points. To me, it’s equally fun to play with strangers or people I know extremely well because I get a chance to learn about others or use my knowledge of a close friend to gain insight into the code they give. Codenames goes far beyond testing your basic vocabulary. It can very much reveal the way everyone’s minds work, is shaped by our cultural experiences, opinions, and, just maybe, our incorrect belief about something we always thought was true (i.e. no, worms are not actually insects). 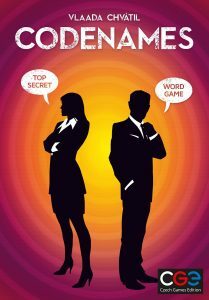 Have you played Codenames before? Even if you aren’t a huge fan of word games in general, let me reassure you this is something of a different beast and encourage you to give it a try!